Market research is crystal clear: reviews are the ace in the hole of every e-commerce because they contribute to increasing the conversions up to the 77%. 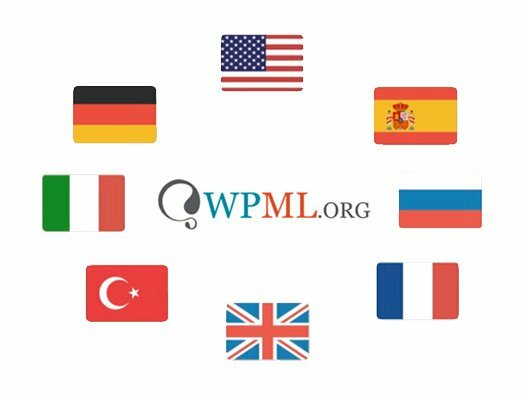 This means that eight visitors out of ten of your site will decide to buy a product only after reading the reviews written by the people who have already bought it.  How can you encourage clients that are already loyalized to write a review, improving in this way the credibility of your online business and increasing your turnover? Contacting them one by one is unworkable: it would be a too much problematic operation to manage. 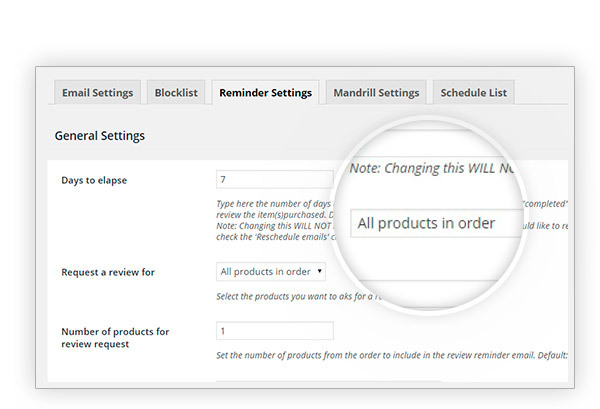 That is when our YITH WooCommerce Review Reminder plugin comes to help you: it lets you send an email automatically, from the administration panel, to ask your clients to write a review of the products they have bought. 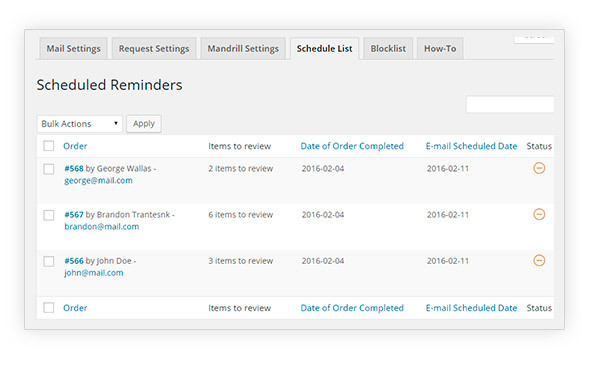 Quickly, easily and efficiently. 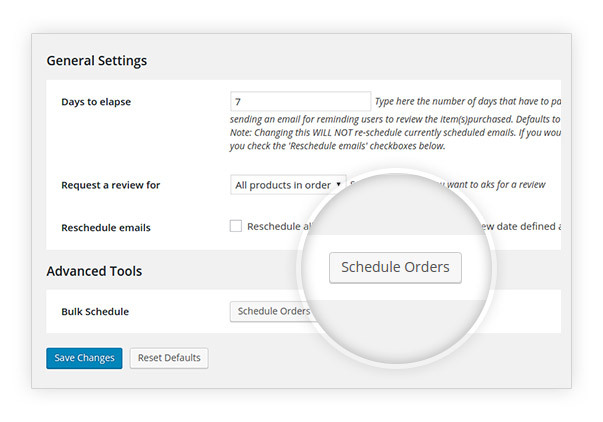 Tweak: cancel scheduled emails when order status is set to "Cancelled"
to invite customers who purchased from your store before you started using this plugin to leave a review as well. Great shop!I learned about YITH thanks to a tutorial that I found online about how to make customer return and buy again from your shop, and I found this plugin that is a simple but very effective tool. I must confess I did not know yith, but I will buy many more products for my shop!! Good for my needsThis plugin does the job as it should and easily. 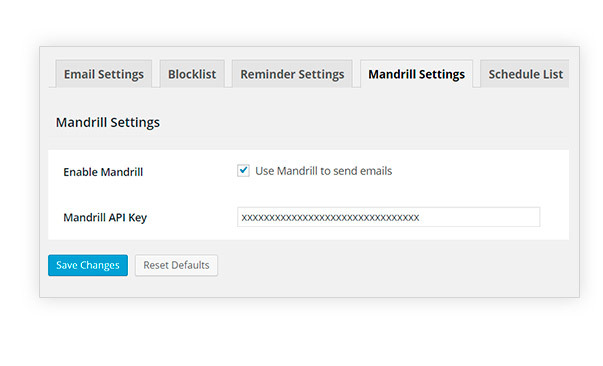 I use it with Mailchimp to manage the emails and it is perfect for my needs. 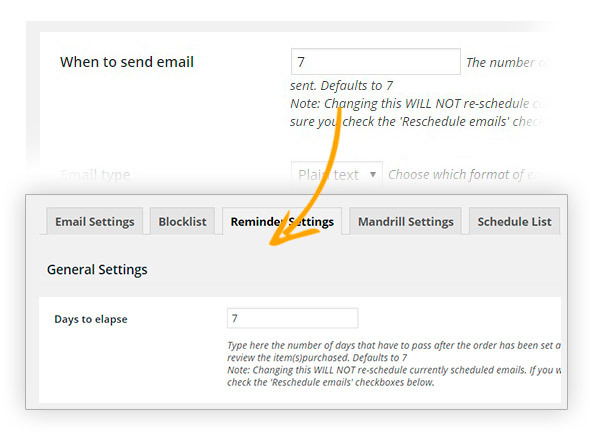 TopWell working plugin, especially the option to reschedule the email sending works good for me. 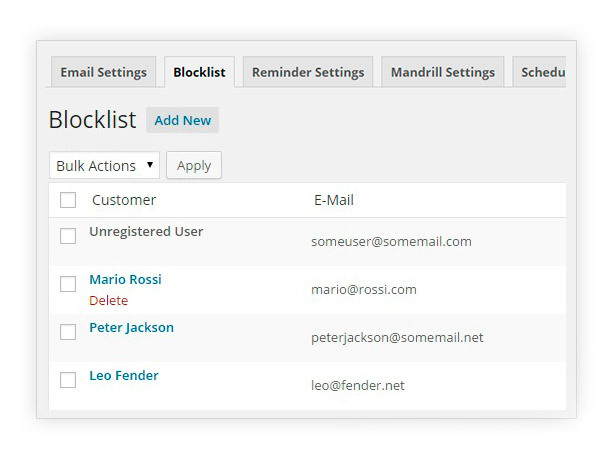 If the email sent to hotmail appears in the log, that means that the plugin has sent it. No, the plugin only accepts days. 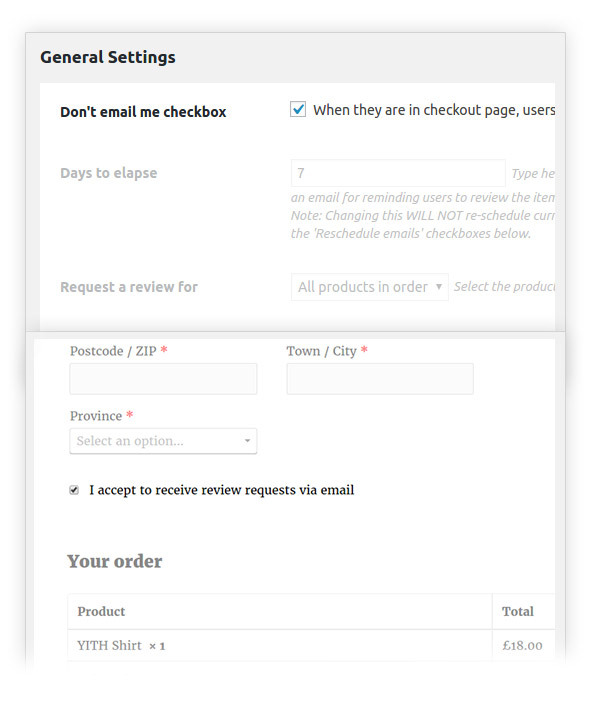 If you are talking about our YITH WooCommerce Composite Products and YITH WooCommerce Product Bundles, than yes we are able to help you out with the set up via support ticket. Hi, Alain! 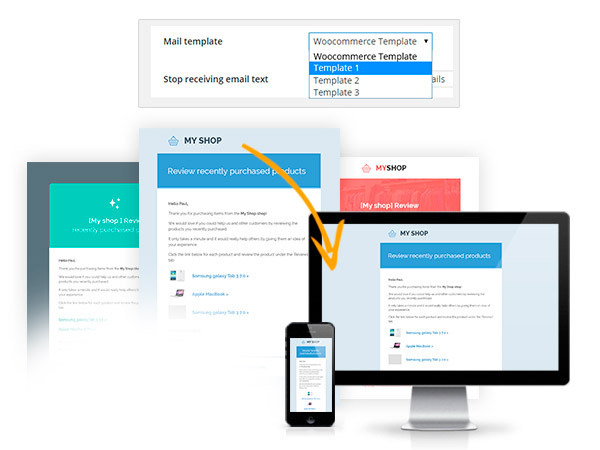 To customize emails, you can consider integrating our YITH WooCommerce Email Templates. 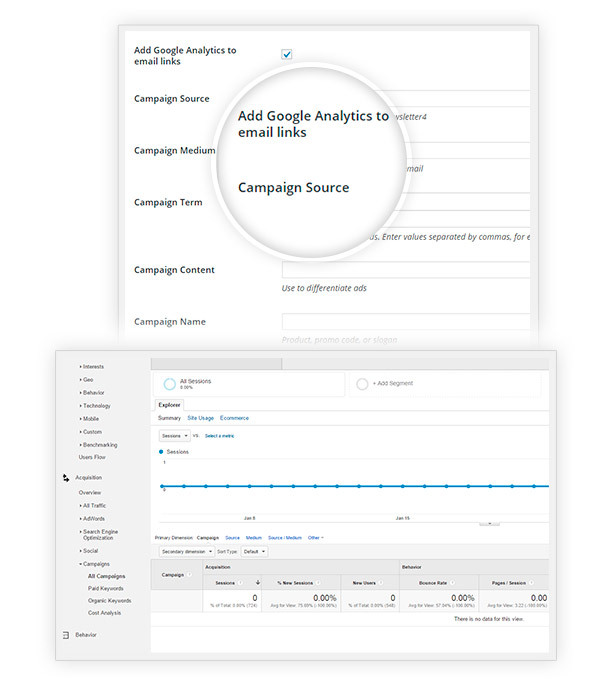 For further details about this integration, you can refer to this section of the official documentation and also test them together from the backend at this link by clicking on Launch Admin Demo. 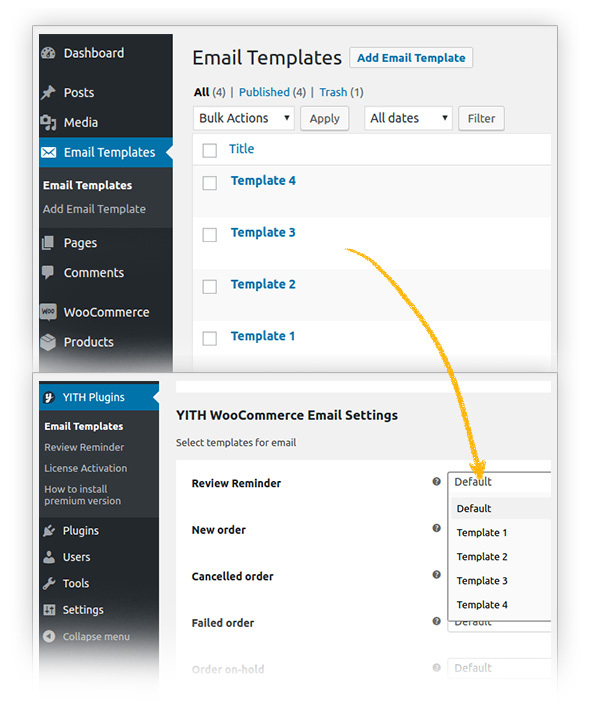 Once the sandbox has started, you will only need to enable YITH Email Templates from WP dashboard->Plugins.